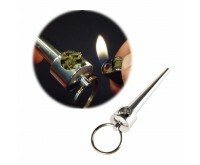 A marijuana pipe allows you to smoke pure weed, hash or other herbs. 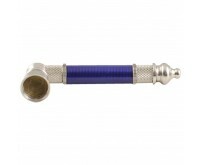 Our extensive product assortment always has a marijuana pipe to your liking. You like smoking pure hash, marijuana or other herbs? Then a marijuana pipe should definitely be part of your inventory. With a marijuana pipe, you can easily smoke your preferred herbs without tobacco. Marijuana pipes come in many shapes, and can be made of different materials. How does a marijuana pipe work? Smoking a marijuana pipe is pleasant and easy. You will smoke the herbs in pure form, so rolling a joint is not necessary. It is important though to place a gauze or screen in the bowl of the marijuana pipe. 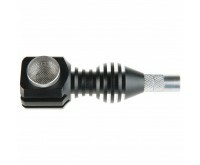 This way, vapors are properly filtered and it prevents crumbles getting into your mouth. Then, place the herbs in the bowl and start smoking the marijuana pipe. After smoking of the pipe, clean it, because ashes and residues remain in the pipe. Dutch-Headshop has an extensive offer in marijuana pipes. 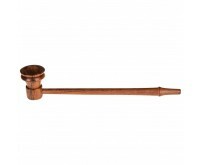 Marijuana pipes can be made of different materials such as wood, stone and metal. Each material has its own advantage. These benefits are shown below. 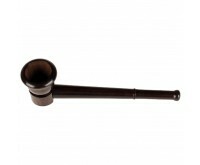 Wood: Intense taste, preferred material for a marijuana pipe and easy to clean. Stone: Provides a pleasant and intense smoking experience. Metal: Functional, hardly affected by heat and easy to clean. These marijuana pipes are of course more expensive than other marijuana pipes, but the pleasant smoking experience they will give you, are worth the price. To use and maintain marijuana pipes, you also need some items. You can find these products in the category pipe accessories. For cleaning the marijuana pipe we sell pipe cleaners. These cleaners ensure your pipe is completely cleaned, ready to be used next time. We also have individual screens and gauzes, in different sizes. Gauzes are essential when smoking a marijuana pipe. Enjoy our pure smokables with a beautiful and functional marijuana pipe from Dutch-Headshop!